Our track record in commercial real estate demonstrates a history of investment acumen, operational success, and corporate expertise. Browse the major milestones that brought us here today. Jim Heistand founded Eola Capital after decades of real estate experience in the Sun Belt region. From 2000 to 2011, Eola Capital acquired, developed, or sold approximately $4 billion of commercial office assets, which included 13.3 million square feet across the Sun Belt region. Eola Capital merged with Legacy Parkway, and Jim Heistand was named CEO. Legacy Parkway received a $250 million investment from TPG Real Estate, a private equity firm. We acquired Hearst Tower in Charlotte, NC for $250 million, utilizing growth capital to reset the trajectory of Legacy Parkway. In December 2013, we acquired Thomas Properties Group Inc. and entered the key strategic market of Austin, TX by gaining control of 2.4 million square feet of Class A assets in the Austin CBD. Later that same year, we developed Hayden Ferry III in Tempe, a submarket of Phoenix, AZ. We entered Miami as a strategic market, acquiring 481K square feet of commercial real estate. Over a two-year period, we sold 20 Legacy Parkway assets, including seven assets in Houston, totaling $624 million. In January of 2015, we acquired One Buckhead Plaza in Atlanta, becoming the largest landlord in the submarket. Later in the year, we acquired Two Buckhead Plaza as well. Over a six-year period, Legacy Parkway grew from a $225 million to a $2.2 billion market cap and transformed its portfolio by acquiring approximately $3.9 billion of assets and recycling approximately $2.6 billion of assets, including $623.5 million in Houston alone. Legacy Parkway merged with Cousins and simultaneously spun off PKY, a separate, publicly-traded REIT and the largest Class A office landlord in Houston. As PKY, we closed a joint venture of Greenway Plaza with CPPIB, TH Real Estate, and Silverpeak, collectively acquiring a 49% interest. Prior to the 2017 Merger, PKY was recognized as one of the top five greenest publicly-traded REITs in our peer group, according to Global Real Estate Sustainability Benchmark. In 2017 PKY merged with CPPIB, and PKY’s management platform was simultaneously spun off and purchased by Jim Heistand, Scott Francis, and Jason Bates, who formed Parkway Property Investments. In December 2017, PKY earned 18 LEED recertifications and Energy Star labels for all eligible buildings. We acquired commercial office assets in Miami, FL; Raleigh, NC; Orlando, FL; and Pittsburgh, PA with leading institutional investors, bringing our portfolio to 12.4 million square feet. To understand our story, you need to start with Jim Heistand, our President and CEO, and his extensive real estate experience. In 1989, Jim founded and served as chairman of Associated Capital Properties, Inc., an office and investment company, where he directed all of the company’s operations until its sale in 1997 to Highwoods Properties for $622 million. After the sale, Jim served as Senior VP for Highwoods from 1997–1999 and as a member of its board of directors for three years. From 1999 to 2004, Jim also served as chairman of the executive committee of DASCO, an owner and operator of medical office buildings, until its sale to CNL Retirement for $241 million. Jim founded Eola Capital LLC (“Eola Capital”) in 2000. Over the next eleven years, Eola Capital acquired, developed, or sold approximately $4 billion of office assets with other leading institutional partners, including approximately 13.3 million square feet in Florida, Atlanta, and Virginia. 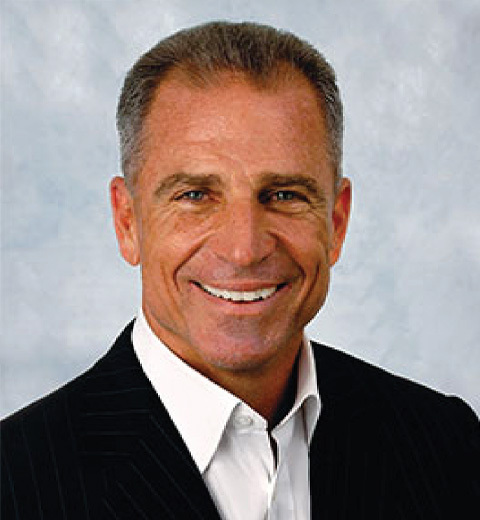 In May 2011, Eola Capital combined with Parkway Properties, Inc. (“Legacy Parkway”), a publicly traded real estate investment trust (“REIT”), and Jim was named Executive Chairman of Legacy Parkway’s board. In December 2011, Jim assumed the role of President and CEO of Legacy Parkway. From 2011 to 2016, Jim and his leadership team, including Jason Bates and Scott Francis, transformed the Legacy Parkway portfolio by acquiring $3.9 billion of assets and recycling $2.6 billion of assets. As a result of this transformation and through innovative, accretive transactions, Legacy Parkway’s stock realized an annual rate of return in excess of 21% at relatively low leverage, making Legacy Parkway the highest performing office REIT within its peer group. In 2013, Legacy Parkway acquired Thomas Properties Group, Inc. and entered into the key market of Austin, TX. When oil prices began to decline in 2014, Legacy Parkway’s stock price also dropped steadily, along with the stock price of companies in its peer group with significant holdings in Houston like Cousins Properties Incorporated (“Cousins”). After months of strategic evaluation, the Legacy Parkway executive management team determined that the best way to unlock shareholder value and create liquidity for the company was to merge with Cousins (the “Merger”) and spin off the combined company’s Houston assets into a new, publicly-traded REIT, Parkway, Inc. (“PKY”). This simultaneous merger and spin-off was completed in October 2016 and allowed the non-Houston assets to trade without being encumbered by the effects of declining oil pricing, while providing investors with an opportunity to invest in a pure-play Houston REIT and capitalize on the Houston market’s eventual resurgence. Heistand, Bates, and Francis led the management team of the newly spun-off PKY. Recognizing the immediate need to unlock value in the Houston portfolio, prior to the closing of the Merger, the management team began exploring joint venture opportunities for Greenway Plaza, PKY’s largest asset. Within six months of the closing of the Merger, PKY closed on the joint venture of Greenway Plaza with an affiliate of the Canada Pension Plan Investment Board (“CPPIB”) and an entity controlled by TH Real Estate Global Asset Management (“TH Real Estate”) and Silverpeak Real Estate Partners (“Silver Peak”), each owning a 24.5% interest. A few months after the closing of the joint venture, CPPIB and PKY entered into a definitive merger agreement under which CPPIB agreed to acquire 100% of PKY for $1.2 billion, or $23.05 per share, representing a 28% premium to PKY’s initial trading value. The merger with CPPIB closed in October 2017, and immediately afterward, Heistand, Bates, and Francis purchased PKY’s management business and operations from the remainder of PKY’s business and formed Parkway Property Investments. Today Parkway Property Investments, or Parkway, operates and indirectly owns approximately 12.4 million square feet of commercial office assets located in high-growth markets throughout the Sun Belt region of the U.S., including Houston, Miami, Jacksonville, Raleigh, Pittsburgh, and Sacramento. Our leadership team is paving the way forward.